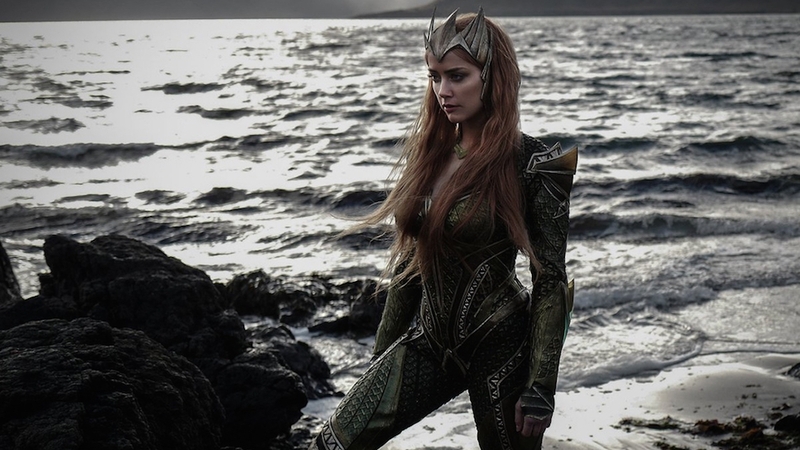 Aquaman director James Wan is officially at work creating the underwater kingdom of Atlantis, and now the filmmaker has shared a stunning first look at the film's underwater queen Mera—played by Amber Heard—emerging from the sea in his upcoming blockbuster. 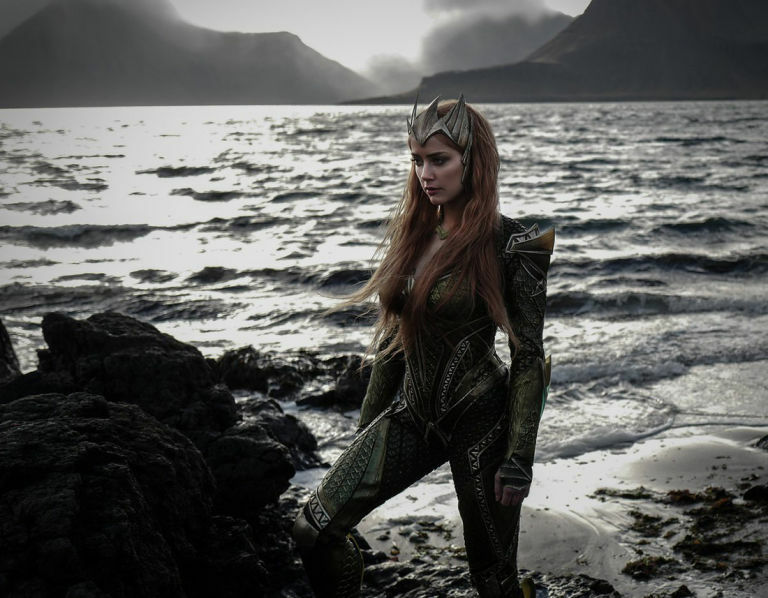 "Lady MERA swept in from the sea," James Wan tweeted. "First day with the exquisite Amber Heard." DC Entertainment has previously only given us brief glimpses of Mera from her supporting appearance in the Justice League movie, which first introduces the exiled queen of Xebel. Once Justice League introduces her union with Atlantean king Aquaman, the two will step up for their own aquatic action movie in which the wider world of Atlantis will be explored. Among the powerful Atlantean figures we'll meet will be Aquaman's (potentially untrustworthy) brother Orm (Patrick Wilson), the cunning Xebelean king Nereus (Dolph Lundgren) and the mercenary Black Manta (Yahya Abdul-Mateen II). Academy Award winner Nicole Kidman recently opened up about her own casting as Aquaman's mother Atlanna more than 20 years after her iconic role in Batman Forever. "The reason why I love [Aquaman] is James Wan is an Australian, and I've followed his career since he started," she said. "He's a really good friend of mine, and he offered to let me play Queen Atlanna. "As soon as he said I could wear mother-of-pearl and be a mermaid warrior, I said, 'I'm done! Please! If there is one thing I have to do in my life, I have to be that!' Because you've got to have some fun." Aquaman will arrive on 21 December 21, 2018, but Jason Momoa's hulking hero will first be seen in Justice League, which is arriving in the US and the UK on 17 November, 2017.